Sergio Rodriguez found his groove and led CSKA Moscow to a convincing road win against VEF Riga in VTB League. 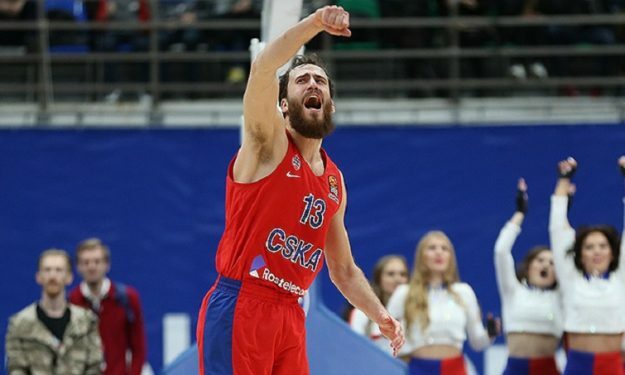 Sergio Rodriguez nailed five shots from deep on his way to game-high 21 points and led CSKA Moscow in a convincing 107-80 road win over VEF Riga in VTB League. Rodriguez shot 7/9 from the field while adding six assists, three rebounds and a steal for a 27 index rating. Mihail Kulagin followed with 19 in addition to Joel Bolomboy’s 15 points. For Riga, Klavs Cavars scored 15 and Baden Jaxen 13 points. CSKA created a big 32-15 lead in the first ten minutes and kept the distance until halftime (57-39). They kept going after the break leading by as much as 31 points (91-60) and bringing the game to a close. The ‘Army Men’ won all ten of their games so far and hold the top of the standings alone while Riga stayed at the bottom with a 2-10 record.